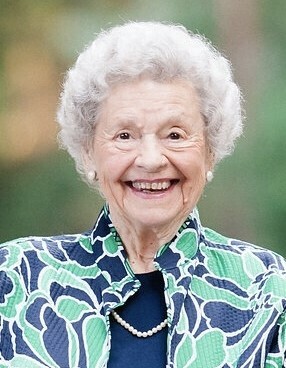 Betty Lee Withrow, age 94, of Bluffton, SC died Thursday, April 4, 2019 at Benton House. Ms. Withrow was born on February 5, 1925 in Goshen, Virginia, the daughter of the late Charles and Opal Withrow. Ms. Withrow was employed at C&O Railroad for 47 years. She was a lifelong member of the Fifth Avenue Baptist Church of Huntington, West Virginia where she assisted in caring for the elderly church members. Prior to working with C&O Railroad, she delivered telegrams for Western Union. Ms. Withrow is survived by one daughter, Sharon Bigley (Marc) of Bluffton; grandson, Michael Bigley (Kelly) of Bluffton, and two great-grand children, Erin and Mack Bigley of Bluffton. She was predeceased by brothers; Grayson Herman Withrow, William Lyle Withrow, Leon Meade Withrow, Charles Clifford Withrow, William Clyde (Buck) Withrow, Joseph Alexander (Johnny) Withrow, and sisters; Clara Augusta (Polly) Withrow Harcum, Vera Aldine Withrow Shelton, Mary Frances Withrow Clendaniel, Lyda Mae Withrow Poulton, Alice Margaret Withrow Hampton, Freda Jean Withrow Taylor, and Susan Elizabeth Withrow Sams. She was loved by many nieces, nephews, and many great and great-great nieces and nephews. The visitation and funeral service are being held in Betty’s childhood church, Goshen Baptist Church in Goshen, Virginia, with her great nephew, Pastor Kenny Kidd from Hyland Baptist Church in Henderson, KY presiding. In lieu of flowers, the family suggests a donation in Betty’s memory be made to Fifth Avenue Baptist Church, 1135 Fifth Avenue, Huntington, WV 25701. The church office can be reached at (304) 697-8459. The church’s website is www.fifthavenuebaptist.org. Visitation, funeral and burial arrangements are being handled by Harrison Funeral Home, 714 South Main Street, Lexington, VA 24450.